I love pizza wall sticker. Decorate your home, office or business with this funny wall sticker. 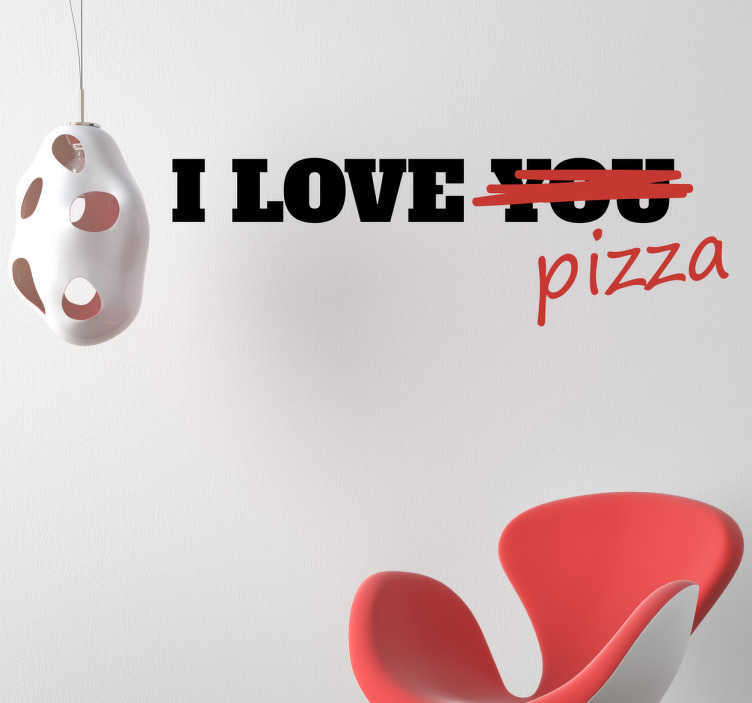 The wall sticker consists of the message "I love you" with the word "you" crossed out and replaced with pizza. The funny sticker appears as though it has been graffitied on, however it is part of the design. Let everyone know you're love for pizza is strong with this wall decoration. This sticker is available in a variety of sizes and colours.